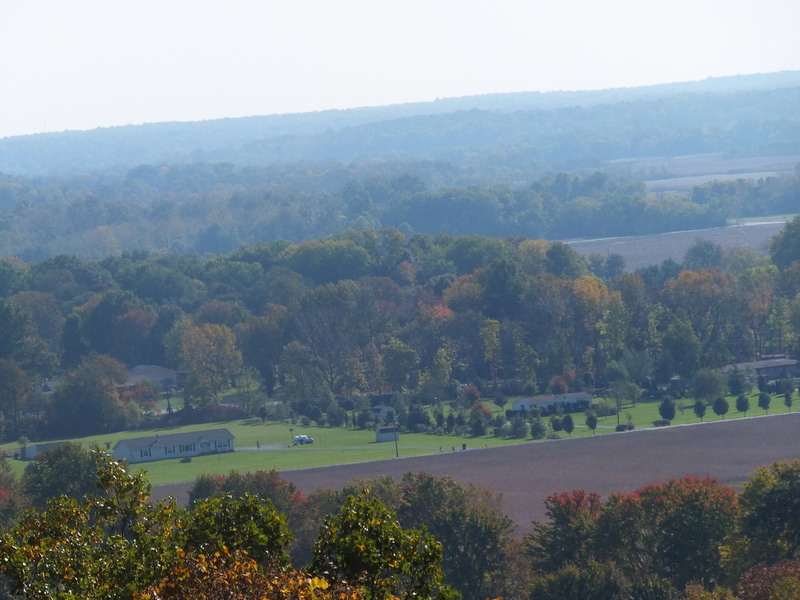 Here is a picture of an overlook from a hill. 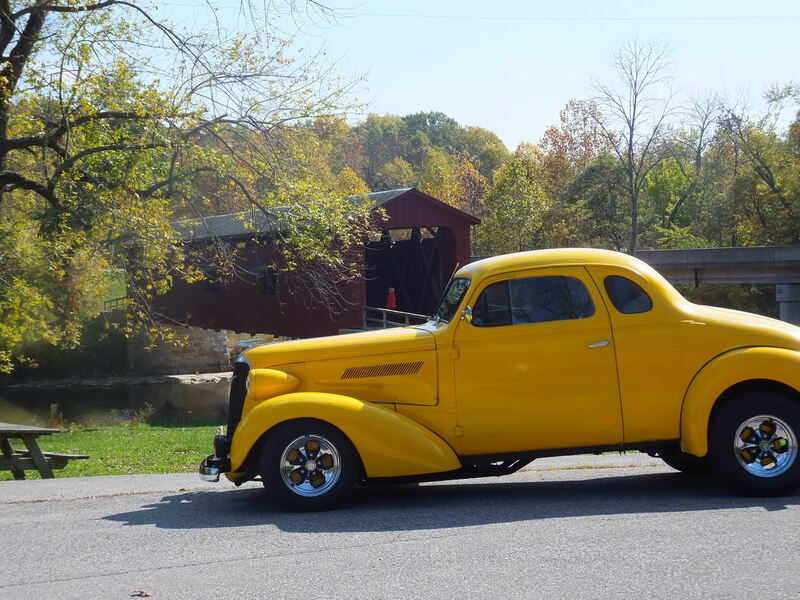 I always dig when folks send me stories and pictures of their hot rod trips. 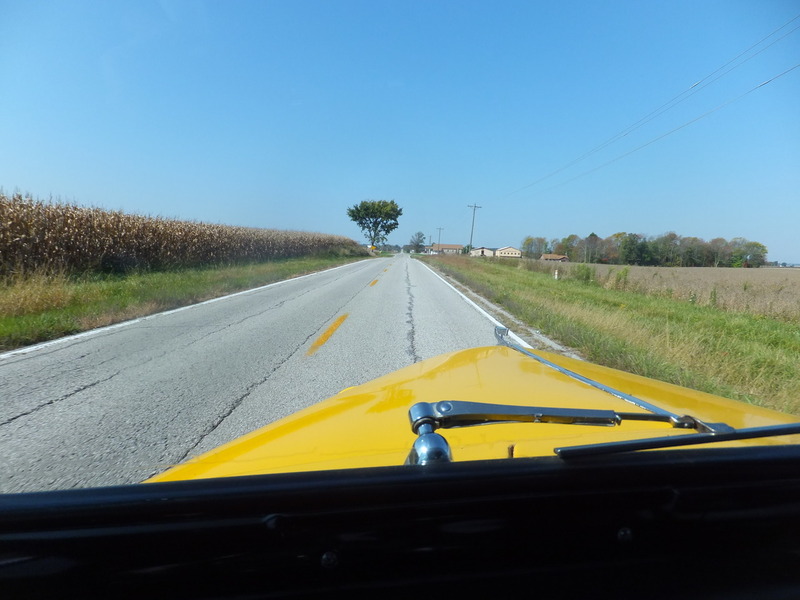 Especially autumn trips, as they bring back memories of when I was a kid, riding in Dad’s ’34, on the Roarin’ 30’s Color Tour. In response to my post, about the “Hot Rod Hundred Route Scout”, I got an e-mail from Mike Housand, with some pictures from his annual fall trip. Wife and I went on our yearly Fall Break trip and this year it wasn’t cold and rainy! 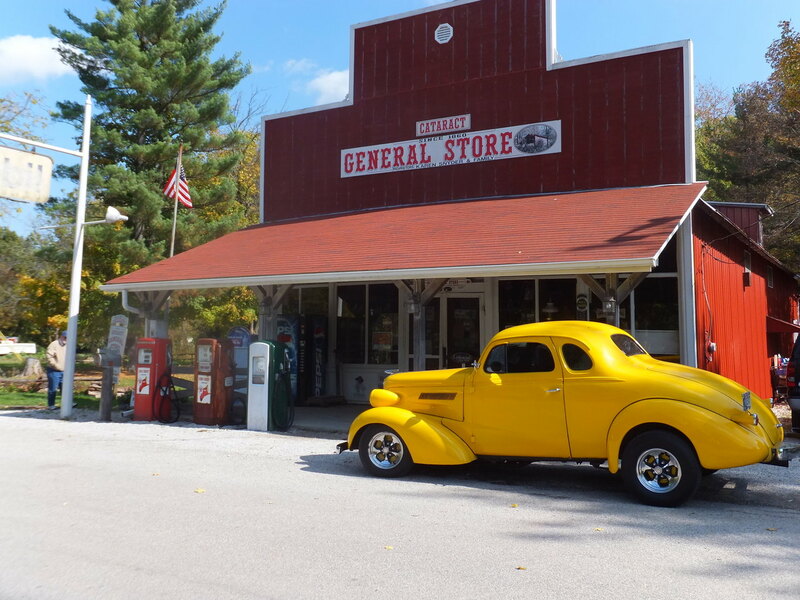 We decided to drive to Catarack, IN, to see the old General Store and see the Falls. 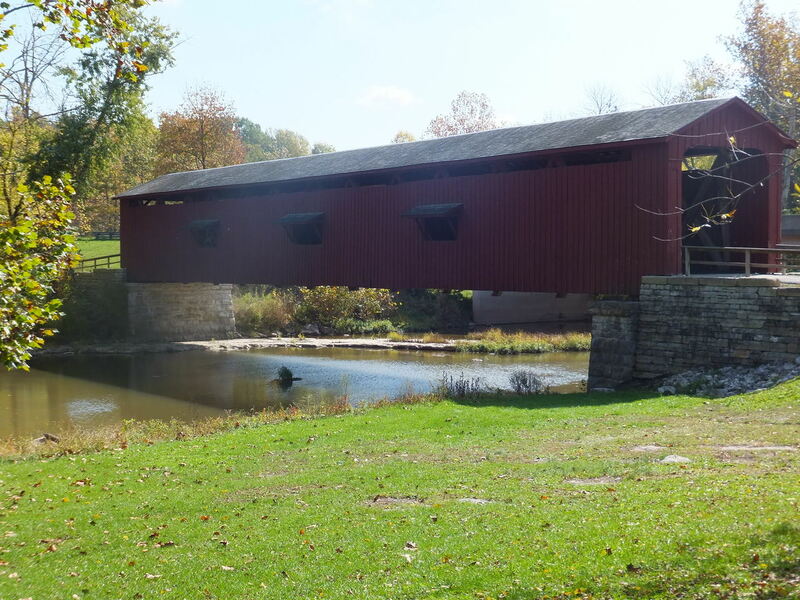 There was also an old covered bridge. 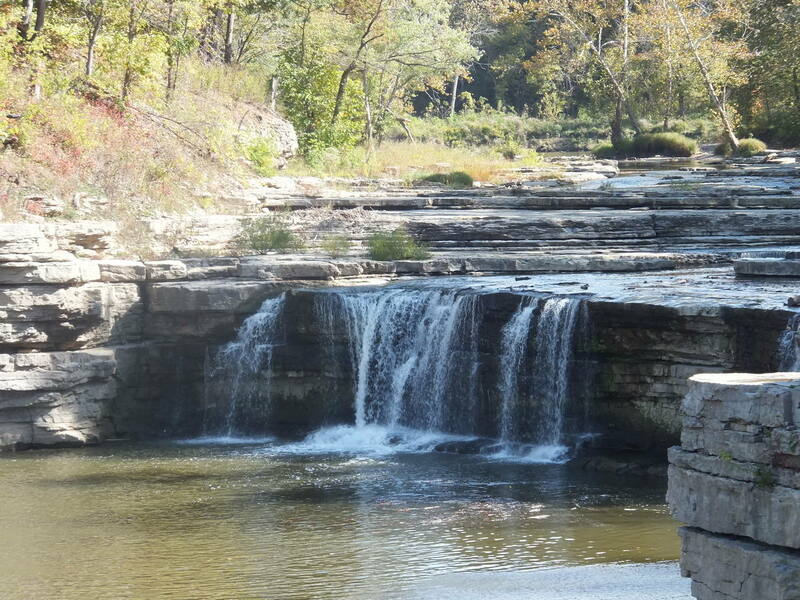 It was a little cool when we started but the day was sunny and warmed up good by the time we got to the Falls. We did wander around a little. After we left the Falls, we wandered back toward home and stopped at an orchard. Which was way too busy, it is that time of year. We ended up driving over 112 miles. Maybe I should set this up for a “Hot Rod Hundred”. So you weren’t the only one out enjoying their street rod this past weekend. We did this last Friday, I just need to get some one to cruise with me. 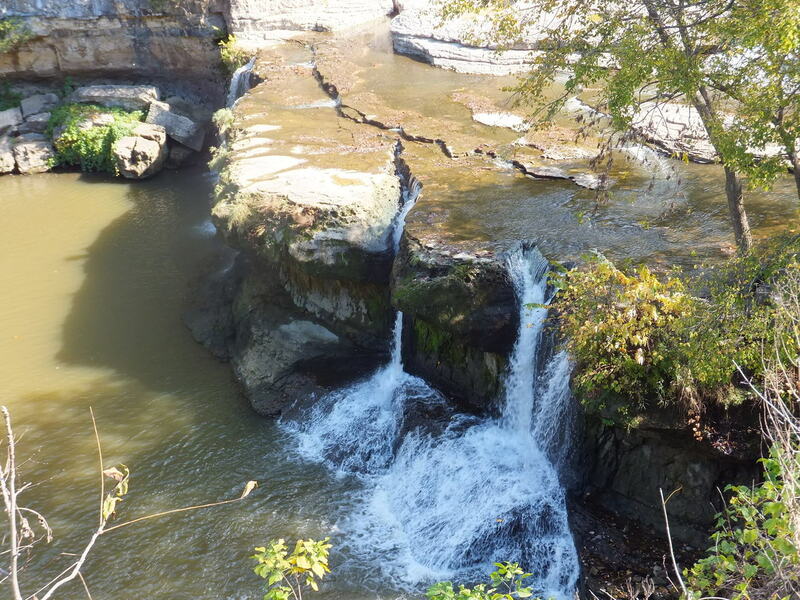 Indiana is not all flat with cornfields. Parked at the covered bridge. Here’s Mike’s trip from last year and the year before! Thanks, Mike, for keeping me in line, and letting me know that I am not the only one who knows that the FUN is in the RUN!! !